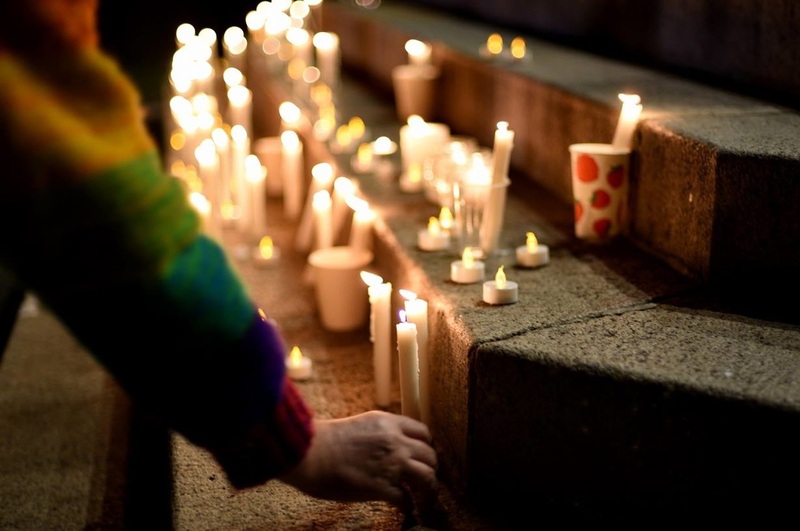 ​Fifty people died in a queer venue. Our sanctuary has been contaminated with the world's hate. Isis have claimed responsibility for the attack, and maybe they did have something to do with this heinous crime, or maybe they are just want to be seen as the cause of all fear that we experience. It is for this reason, we cannot let fear and hatred separate us. It is times like now that we need to stand in solidarity with the Islamic community and recognise that oppression in any form is unacceptable. It seems more likely that this attack comes from a hate filled and misguided individual. It's all too easy to break this down and say, 'oh he's a lunatic' but as soon as you do this, you diminish the very real homophobia at play here. I don't understand how a person can feel so much hatred that they are driven to kill 50 people and injure another 53, but I do know that as soon as I try to explain it, or put it in context, it's a step closer to understanding it, which is dangerously close to making these actions permissible. Events like this force us to have hard conversations. Race, religion, sexuality and gender identity can coexist peacefully. Queer Latinx people have suffered a horrible attack. Islamic people are being blamed and this is not the answer. Islamophobia will not heal the hurts, it just creates more. Now more than ever, we need stand together and give agency to the people who need it. Sometimes society needs tragedy to create positive change. In Australia, the restrictions on firearms came as a result of the Port Arthur massacre. Hopefully this will be the incident that triggers a realisation that America needs gun control. Many say that it's the person who kills, not the gun however guns make it far too easy for someone to kill another person. I can only hope that something positive can come of something so tragic. I have purposely not mentioned the name of the attacker. He will be remembered. He should be remembered. By remembering people like him, we stand a chance of not repeating these atrocities but today, I want to remember the people who have lost their lives. They have become unwilling martyrs of the modern world. A couple of months ago, I legally changed my name. I thought this would be a relatively simple process, pay a stupid amount of money, get a new birth certificate and bam the dirt is gone. Since that time, I have learned there are so many frustrating little road blocks that trans people have to overcome, just to be recognised as who they are. One of those challenges has come up recently as I have been looking for a new job. I have only had one job under my current name, all my old employers know me as by my old name. So what do I put on my resume? If I need referees, who can I put down? Does it look bad for a 23 year old to only have a work history of one job? If I tell my new potential employer, I have to out myself before I have even met these people. They could then go on to out me to my old employers. It's kind of like we're fucked whatever we do.